I have a secret. I enjoy learning about Hoodoo. Despite being what I consider a Celtic Eclectic Pagan, with a strong interest in the Avalonian path and in gleaning what I can about the ancient Celts, I’ve developed a fascination with American folk magic. At first, I thought I should keep it to myself. Surely some of my peers would look askance as it didn’t seem to fit well with my primary path. After all, folk magic is often called low magic – and what did it have to do with connecting to my Celtic ancestry? Well, I’ve realized it has a lot to do with it. 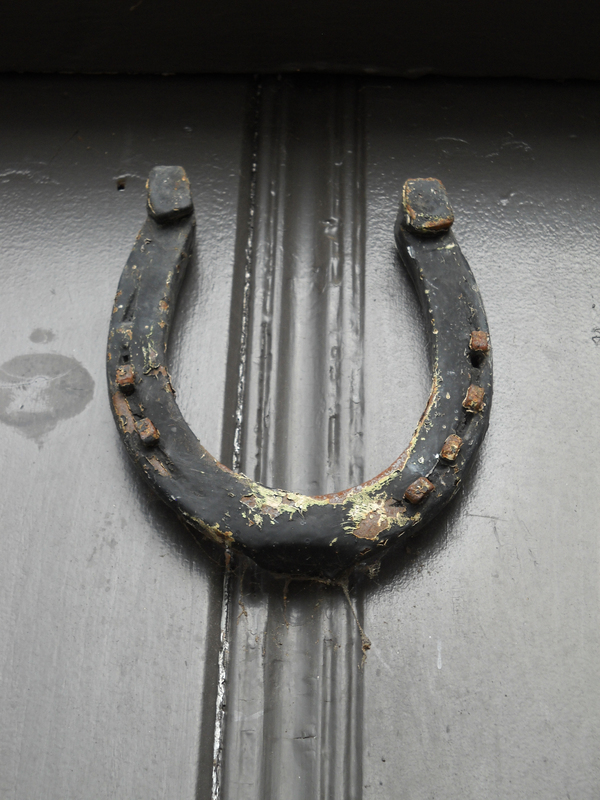 Horse shoes have been used for luck and protection for centuries. Frankly, it was my Celtic path that brought me to American folk magic in its varied forms. One of the things my Hearth group does at Samhain is to ask the ancestors to join us or to honor them in some way. These rituals also include a guided meditation, usually to meet with the crone aspect of the goddess. Most of the time, the woman I found wasn’t the goddess. It was my grandmother. Over several years and maternal grandmother meetings, I’ve found that Samhain is also a good time to work with ancestor spirits to heal ancestral wounds – I believe that’s why my grandmother comes to me. Unfortunately, that side of my family has plenty of wounds to lick. As part of this work, I tried to learn more about my family and the different cultures from which it came. My intent was to find my ancient roots. My mother’s maternal side is Irish or Scots-Irish, though we don’t know what her paternal side was (given her complexion, it was probably not Irish or Scottish). This side was from eastern Kentucky, deep down in the hills. My father’s side was German and probably Scottish, and that grandmother was very superstitious. From her we inherited the need to have a horseshoe above the door, to toss spilled salt over the prescribed shoulder, and were stuck eating ham and cabbage on New Years Day. This part of the family was from eastern Pennsylvania. 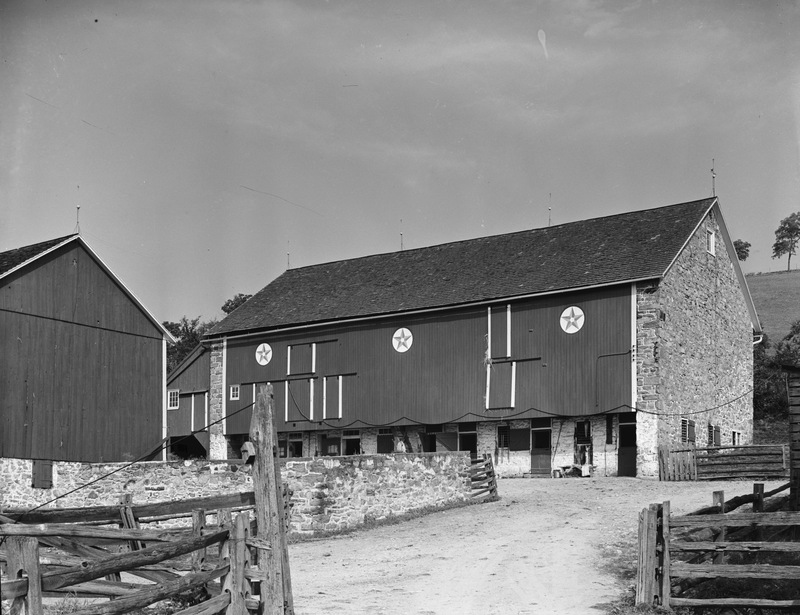 Taken in 1941, this picture of a Berks County, PA, barn shows several Pennsylvania Dutch hex signs – a traditional folk practice. These stars are considered protective. Photo from the Historic American Buildings Survey. As I tried to learn what life was like in these two areas over the last 100 years or so, the Pagan in me couldn’t help but notice a huge body of folklore and folk practice associated with them. Soon, I was intrigued by Appalachian Granny Magic and Powwow, which is the folk practice of the Pennsylvania Dutch. Then I found the connection between these and Ozark Mountain Magic. I grew up on the edge of the Ozarks, seeing hints of these practices without understanding them. Of course, Hoodoo is really getting notice lately and has subtly been incorporated into some other traditions, so I found myself intrigued by this as well. Many of these descended from old European and African practices. Some have mixed and mingled with Native American and Jewish practices as well. Simply put, without low magic there would be no high magic. Since I’ve stopped ignoring what was right in my face, I’ve became much more comfortable with working with the ancestors. I also realized that that means more than just our ancient ancestors – it also means the ones from 30 or 70 or 100 years ago. It includes the great grandmother known for being a healer or the uncle who’d walk a large circle around a horseshoe lying on the ground. Yes, it is great to learn what the ancients did and how it affects us and how we can learn from it, but working with more recent ancestors is just as important. Some might say more so, given the tremendous power of ancestral wounds. Also, who’s more likely to work with you? The gods and goddesses who have thousands of people calling on them? The spirits of ancestors from 2,500 years ago? Or the spirit of the great grandmother who held you as an infant? I think that’s a no-brainer. So I’m done separating the two sides of my personal practice – Celtic Paganism and American folk magic – here and elsewhere. One side isn‘t better than the other. They are two springs feeding the one river that quenches my spirit.